Hi there, I'm Jamie and I'm here to show you about one of our products that we carry. This is our 250 gallon holding tank. A capacity of 250 gallons. Its measurements are 72" long 48" wide and 18" tall. It features 6 quarts, 3" quarts, that you can connect a rubber connector to, the middle port comes open from the factory however if you need any of the other ports opened you simply use a 3" hole saw and drill your port out accordingly. Like I was saying, the rubber connectors are readily available, they come in different configurations, this is an elbow, you'll have T's and straight connectors that way you don't have to simply glue your PVC pipes and then cut them down after your rental. These tanks are available in pewter gray but also in a natural color which is a translucent color so you can see the liquid level of your waste. 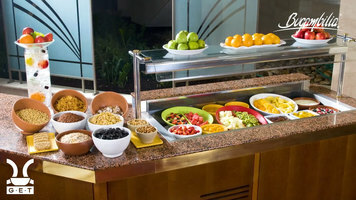 These are primarily used for waste storage. However, they can be used for fresh water storage as well. They are FDA compliant so there is no worry there. This holding tank, like other holding tanks that we carry, can be daisy chained together, meaning they can be hooked up in a series to double or triple their capacity. If you would like any more information regarding this product or any other product that we carry please visit our website. Thank you for your time. You can rely on the durability of this PolyJohn holding tank, and the 250 gallon capacity is large enough to suit your needs! Whether needed at a work site or a large event, this holding tank will get the job done. 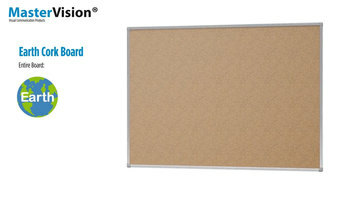 Display photographs, memos, or other frequently referenced paper documents easily with this MasterVision Earth cork board, an eco-friendly, fully recyclable display solution manufactured from industrial waste and Cradle to Cradle Silver certified. 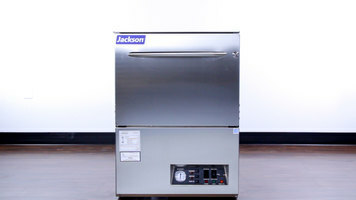 With this efficient undercounter dishwasher, you can save time, money, and energy! The Avenger LT is a quiet, low temperature unit that only uses 1.2 gallons of water per rack.